Get the first word on art opportunities in West Hollywood! In 2017 the City of West Hollywood's Arts Division initated this Registry in an effort to connect with the creative people who live within the city limits. The City's Arts Division uses the Registry as a way to better understand its artist population, how to better support artists, and to inform working artists about art opportunities in West Hollywood. We know that our city is a community teeming with talented, creative people (be they visual artists, musicians, writers, actors, etc.) and we want to be able to connect with you! By submitting your information to the Registry you will help the City make informed decisions on how we can best serve our working artists. It is the Arts Division's goal to provide opportunities for you to flourish. Help us better serve West Hollywood artists! 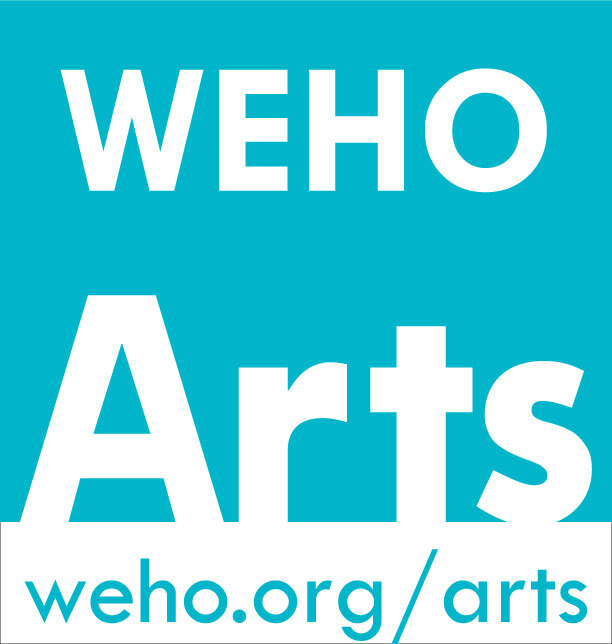 The City's Arts Division invites individuals who live in the City of West Hollywood, identify themselves as an artist, and actively practice their craft, both in and out of the city limits, to submit their information on this form to become part of the City’s West Hollywood Artist Registry. The Registry is a database of the individuals who live in the West Hollywood community with active and professional art practices, of all disciplines. This database will be maintained by the City’s Arts Division staff. Should you have any questions, please contact Arts Division Staff at arts@weho.org or 323-848-6400. ABOUT WEHO ARTS: The City of West Hollywood’s Arts Division delivers a broad array of arts programs including: Art on the Outside (temporary public art), Summer Sounds, Winter Sounds, WeHo Reads, Free Theatre in the Parks, Arts Grants for Nonprofit Arts Organizations, Library Exhibits and Programming, the City Poet Laureate program, One City One Pride LGBTQ Arts Festival, and Urban Art Program (permanent public art). In the space provided below, insert up to 3 samples, images or hyperlinks to work as evidence of your artistic practice. As applicable to your field, include such information as the title, date, dimensions, performance location, duration, publication, etc. as it relates to your work. EXAMPLE for visual art: "Title," 2016, 10 x 10 feet, Plummer Park, powder-coated steel, www.hyperlink-to-project.com. EXAMPLE for performing arts: "Title," 2016, 12 dancers, Plummer Park, one-hour performance, www.hyperlink-to-project.com. EXAMPLE for video: "Title," 2016, dimensions variable, 01:02:03 (hours, minutes, seconds), video, www.hyperlink-to-project.com. EXAMPLE for publications: "Title," 2015, publication, www.hyperlink-to-project.com. For any questions about work sample submissions, contact the Arts Division at 323-848-6400 or arts@weho.org. WORK SAMPLE 1 DESCRIPTION: Title, date, dimensions, performance location, duration, medium, etc. as it relates to your artwork (a hyperlink may be included with this information in lieu of uploading a digital file). WORK SAMPLE 2 DESCRIPTION: Title, date, dimensions, performance location, duration, medium, etc. as it relates to your artwork (a hyperlink may be included with this information in lieu of uploading a digital file). WORK SAMPLE 3 DESCRIPTION: Title, date, dimensions, performance location, duration, medium, etc. as it relates to your artwork (a hyperlink may be included with this information in lieu of uploading a digital file). By checking this box, I agree that the City's Arts Division can send me all artist opportunities, programs or projects that might be of interest to artists. I understand that I can unsubscribe from this list at any time. By checking this box, I agree that my name and contact information can be released by the City of West Hollywood to third parties for the purpose of professional opportunities in my capacity as an artist. 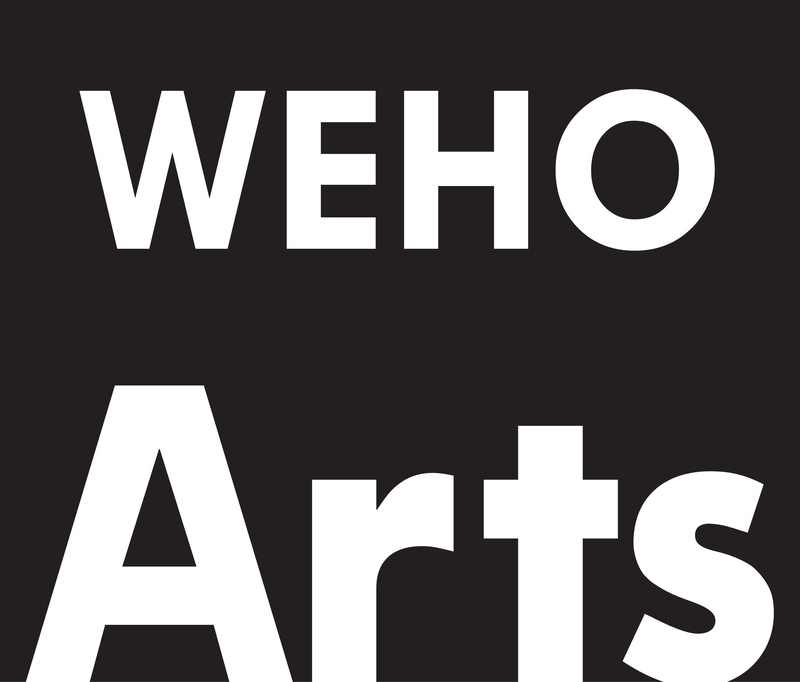 Questions about this application can be directed to the Arts Division at arts@weho.org.